Greek forces must cooperate to win the game. NOTE:  Use the Dice Board for rolling dice in Movement or Battle sequences. and forth). Only one ship can occupy a space. The die number cannot be split between ships. is adjacent to a Persian (not on adiagonal). 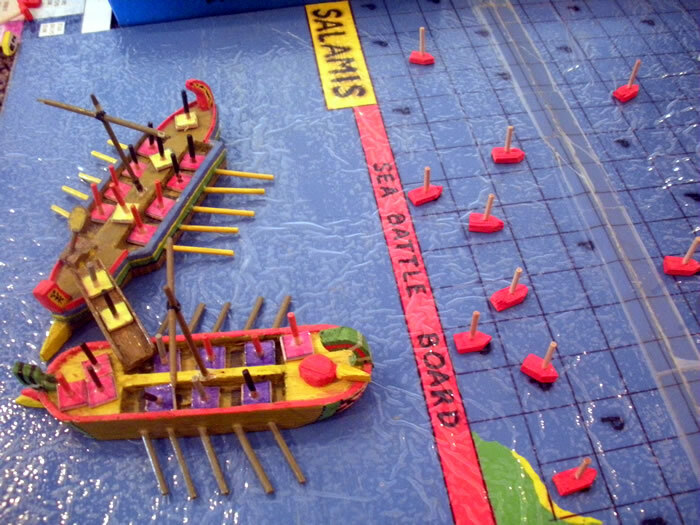 Action now changes to the SEA BATTLE board. 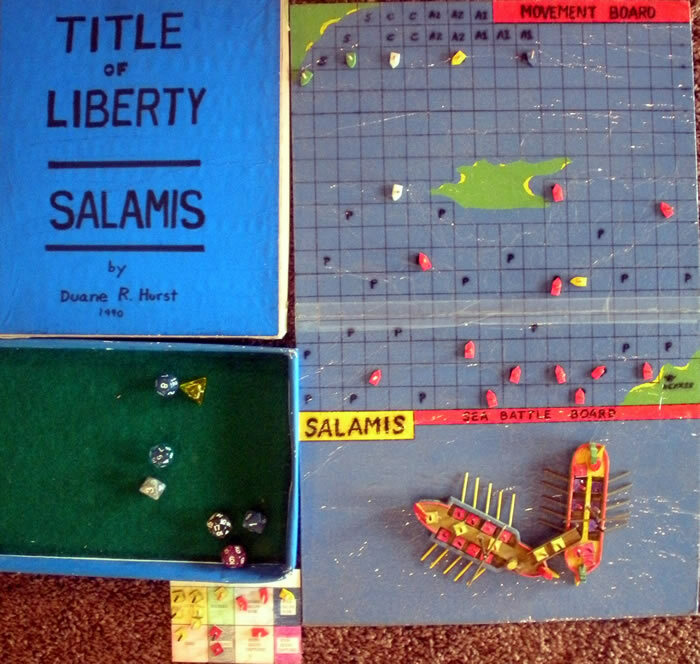 in the YOUR SHIPS SUNK section of the Battle Board. to the Dice Number Chart. Battle continues until one side loses. in battle. 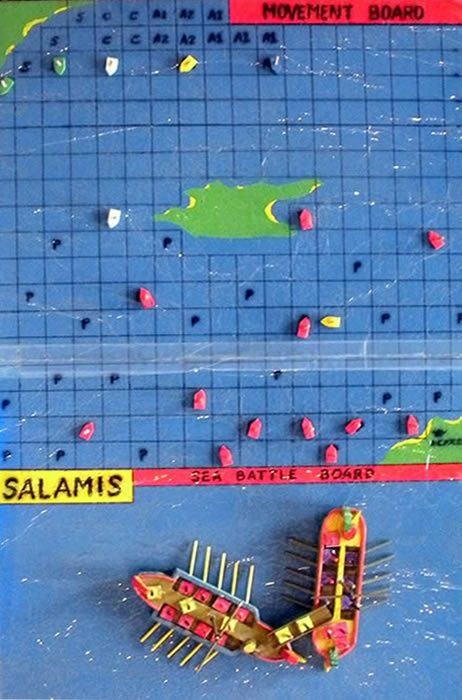 Place the Persian ship token in the ENEMY SHIPS CAPTURED section of the Battle Board. 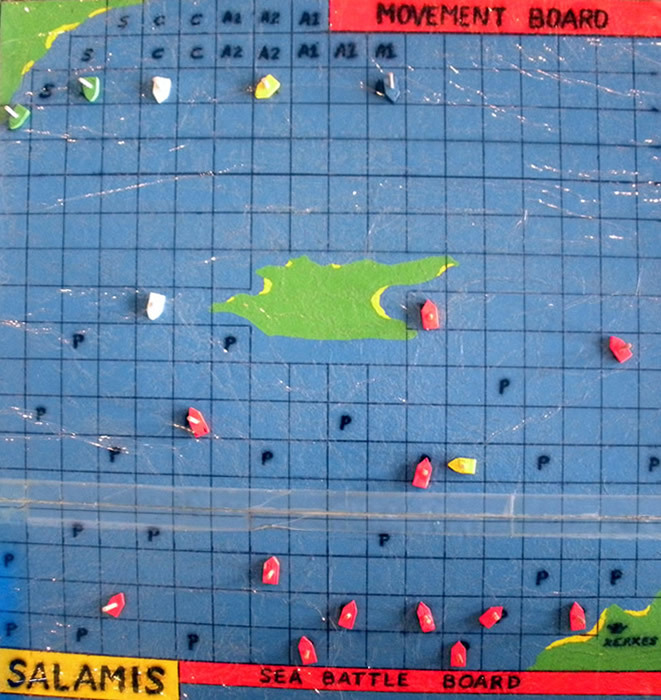 YOUR SHIPS CAPTURED section of the Battle Board. enemy ships and least number of your own ships lost). based on throws of the dice. Be sure to use the proper dice for each soldier. 1. 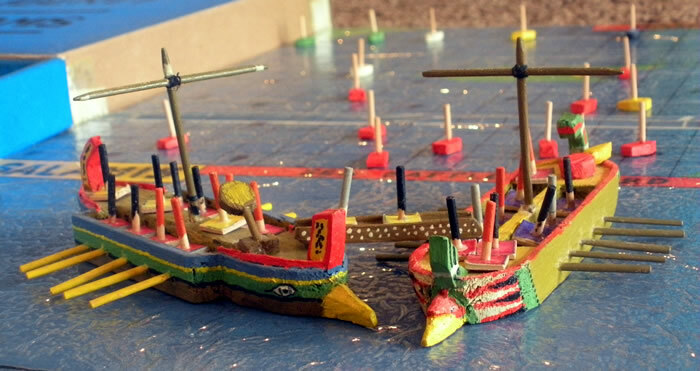 Shake green die and move one ship on the Movement Board. Begin attack if adjacent to Persian. 2. Shake yellow die to launch fireball. 3. Shake yellow die to ram Persian ship. 4. Shake yellow die to ram Greek ship. 5. Lower boarding plank, place Greek soldiers aboard large ship, and begin battle. 6. Remove dead/wounded/captured soldiers; place them on Battle Board. 7. Remove lost Greek or Persian ship token; place it on Battle Board. 8. Replace lost Persian soldiers on the large ship. not used, remove 8 Persian ships.